Bridge West LLC is one of the first accounting firms in the world to focus solely on the cannabis and hemp industries. Bridge West is your one-stop provider for accounting, audit, tax and advisory services. Since 2009, the practice has expanded to more than 250 cannabis and hemp clients nationwide. 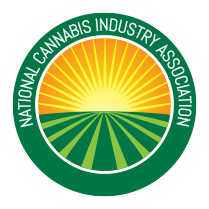 Our CPAs and advisors have guided hundreds of U.S. and international cannabis businesses through a very challenging business and regulatory environment. From minimizing the effects of IRS 280E, to inventory management, and preparing audited financial statements, our services address the industry’s most unique and ever-evolving issues. Our cannabis tax professionals have assisted in over three dozen cannabis IRS, state and city audits. Our team of more than 100 professionals provides our valued clients the full support they need. The Bridge West team has help us a lot. Specifically, we reached out to them to do our taxes and annual audit, but they’ve been helping us with every aspect of tax and accounting. Everything from new entity structure, calculation of inventory costs, setting up our chart of accounts, and they helped me understand the accounting for 280E. We have dealt with several other firms in the past, but it is a “night-and-day” difference regarding Bridge West’s teams understanding of the cannabis industry. For eighteen months, I had been searching for a CPA firm with a great understanding of the cannabis industry, more specifically how to set up your books to facilitate the execution of 280E and the costing of inventory. Even though some accountants on the East Coast would say oh, we could do that we have experience, I wanted the experience of a firm who has been through IRS audits like Bridge West. Also, Bridge West was able to provide valuation services and gave us guidance when our board decided that we were going to look to sell our company. We have been working with Bridge West since we began operations in 2015. We went from a privately-owned company to a publicly traded company in 2018. They have help us with our monthly accounting, our quarterly and annual filings, and to coordinate reporting with our other external auditors. They are very responsive, and they continue explain things and provide options, which is always nice to hear. Bridge West was very helpful in getting us information on how to set up our financial accounting, how we should approach the 280E mitigation, and how we should set up our operations to best suit the industry, and the tax issues that are associated with it. Also, Bridge West does a great job of keeping themselves up-to-date with what’s going on from a regulatory standpoint, as well as updates with the IRS and the best accounting practices to follow within the industry. Since 2015, Vireo Health has partnered with Bridge West for all of our accounting, tax and audit needs. Cory and the team of professionals at Bridge West have met or exceeded all of our expectations. They have a keen understanding of our industry and the highly regulated environment that we operate in. They have been incredible partners, providing us with invaluable insight and counsel as we navigate the financial side of our operations. Our Company first started working with Bridge West in 2016 for tax advice related to 280E. They are very knowledgeable and thorough about 280E compliance which assisted the owners in making the appropriate business decisions. The team at Bridge West assisted our accounting team with properly classifying expenses in compliance with 280E. In addition, the Bridge West team was instrumental in modeling the inventory analysis given their significant industry knowledge base. The team at Bridge West is very professional, experienced and respectful of time sensitive requests. To say that they are very hands on is an understatement. I strongly recommend the Bridge West team without hesitation. I’ve been fortunate to have them by my side.